Hong Kong Stock Market (HKEX; SEHK) ranks the 3rd largest in Asia and 5th largest in the world. 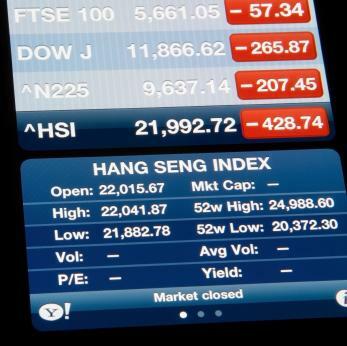 It is well known as "Hang Seng Index". 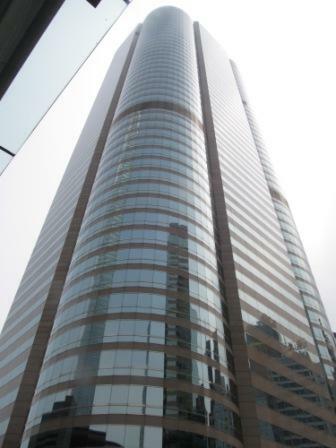 It was founded in 1891 and is located in the Hong Kong Stock Exchange Square in Central. You may not go into the stock exchange. But you can check out the building while you are around the area. By looking at the trading hours and a brief history, it doesn't show the big difference of this among the rest of the stock markets in the world. How could a place as small as Hong Kong have such a big stock market? The big difference is the active participation of the general public. I mean general public, such as office ladies (a.k.a. OL), high school students (like my youngest sister), elderly (like my grandmother) and so forth. Newspaper is like the bread and butter in the daily life of Hong Kong people. It is cheap and has loads of information, including stock market activities. So, everybody reads the newspaper and watch the news every day. When there is a new company coming out and list on the stock market, you will see a long line of people waiting to sign up in order to invest their hard-earned money. They don't care how hot it is. It is very common to see the old people staying in a trading company office throughout the day punching numbers on a machine. Because they are a big group of people that invest most of their retirement and saving into the Hong Kong stock makret. Just like my grandma used to be. She made some good money from the stock market that was able to support her daily expenses. And the money she earned from there, she lived very comfortably. I worked in a Korean company for 4 years. There were 3 girls putting in some of their saving in the HK stock market. I remember this happened so often back then. If one of them knew that they had to buy/sell, she would tell the other 2. And all 3 of them would stop whatever they were working on and busy at making phone calls to their agents. This is very typical in many Hong Kong offices. Hong Kong high school students always can get newspaper at a discount rate. What did my youngest sister do? She has been reading newspaper every day and analysis all the stocks. She saved some money and put some into the Hong Kong stock market while she was still in high school and even told my mom which is the best one to invest in. People in Hong Kong always have a good savings. It is due to the low tax rate and the habit of saving for yourself in the Asian culture. Therefore, it's not difficult for general public to invest in the Hong Kong stock market. With that being said, you understood why I said the active participation of the general public in the Hong Kong stock market plays a significant role. But that's not it. Hong Kong is at the time zone where the professional stock investors can continue to let their money work for them. Like people in the east coast of US, it's 12 hours difference. Professionals can have a few hours of sleep after the closing of the Wall Street and continue. If you plan to live in Hong Kong, think about investing in the Hong Kong stock market as the second source of income.